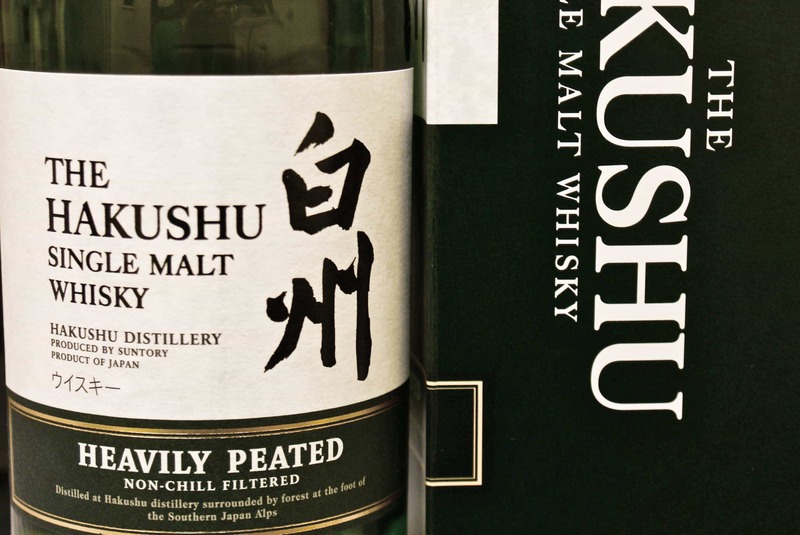 The Japanese make a mean single malt whisky, as I’ve said many times before, and I’m always trying to get people to try some drams from Japan. This is my first taste of whisky from the Hakushu distillery, which is located deep in the forests of the Southern Japan Alps, where it seeks to take advantage of “clear air and cool, humid climate of Hakushu’s vast forests”. 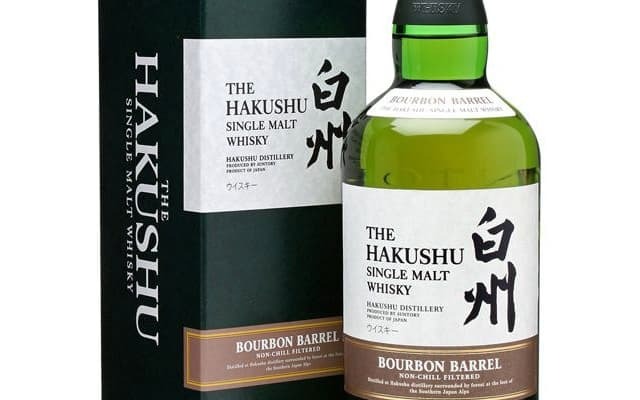 Naturally, being a fan of peated whiskies, but not having tried a serious one from Japan, I opted for a bottle of the Hakushu Heavily Peated. Colour: a reasonably light amber, perhaps straw. On the nose: a surprisingly gentle smokiness and not the full whack you’d expect; there’s a distinct sweetness, mixed with briny notes. A touch of sour cream, too. In the mouth: boom there’s the smoke, but an incredible brown-sugar sweetness to go with it and balance out the effects. What a lovely, chewy, peppery, mouth-watering sensation, so much so that the peat is quite understated and bound up with the whisky. Ever so slight touch of fennel perhaps (the mildest hint of aniseed)? Clean as a whistle, and fairly dry – not oily like some of the Islay peated whiskies. It doesn’t hang about in the mouth too long, but there’s a wonderful sugar-coated barley aftertaste. This is remarkably well constructed, a masterclass in balancing whisky, surely. For some reason, I can’t help but think this would be the perfect winter whisky. It’ll set you back around £65 – pricy for most, perhaps, but the evenings are drawing nearer, so you could treat yourself… I’ve really not been let down by any Japanese single malt I’ve tried to date.